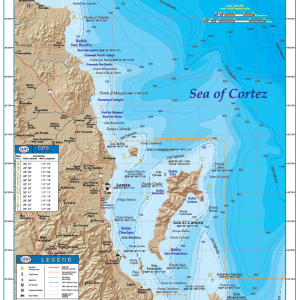 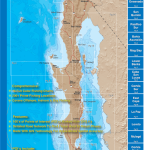 With official data from the government of Mexico, our fishing chart of the popular sportfishing destination of Loreto covers the fishing areas from 5 miles north of Isla San Ildefosnso to Punta San Marcial, including the waters off Loreto, Puerto Escondido, and water surroundung Isla El Carmen and Isla Monserrate. 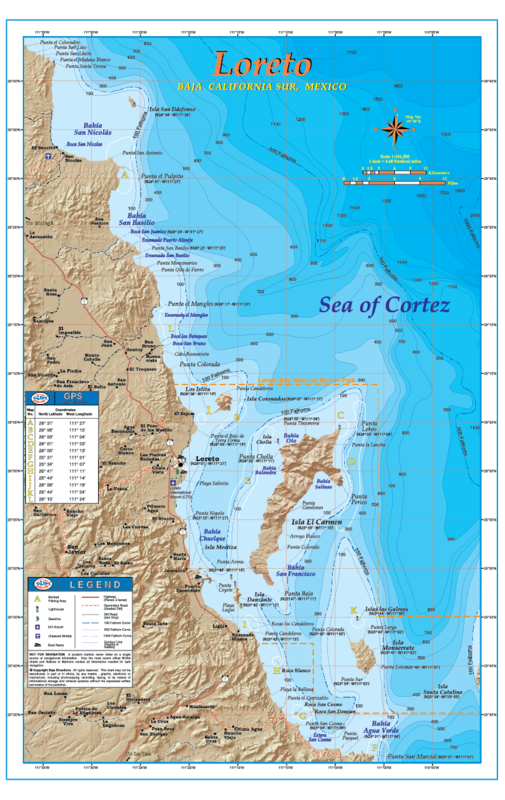 This chart features updated underwater contours (bathymetry), “3-D” land, road and facilities information along with popular fishing areas such as Roca Blanco, Punta El Pulpito and the fabled 100 fathom curve off Punta Cholla. 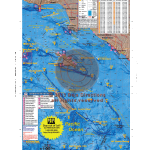 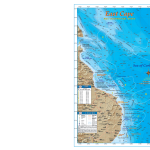 The back side of the chart contains a great deal of information such as explanations on how to fish each highlighted area, GPS coordinates, a seasonal fishing calendar, fish identification chart, and much more. 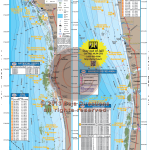 This full color, high-resolution map is currently available exclusively in our popular 11″x17″ laminated format. 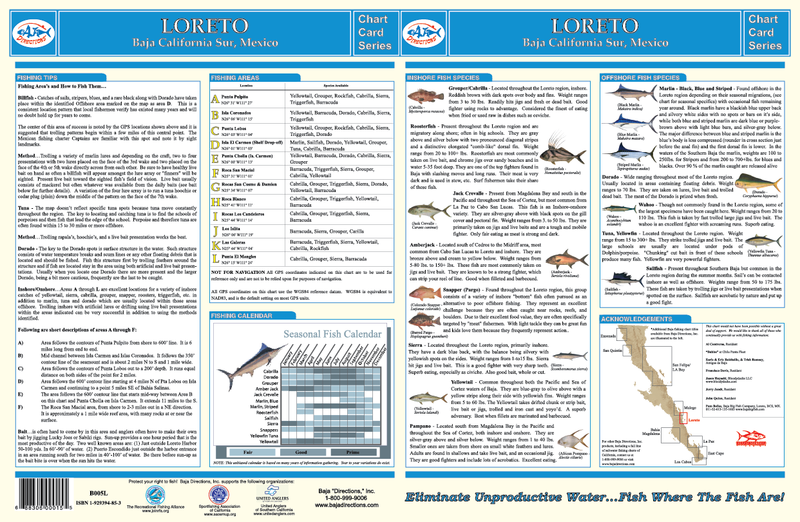 Be the first to review “Loreto” Click here to cancel reply.